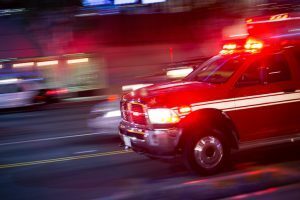 Municipalities in central New England and around the country wrestle with the choice of providing a municipal, fire department-based ambulance service or a private ambulance service. The decision-making process for choosing a municipal ambulance service or a private ambulance service can be a difficult one for many cities and towns because of their unique populations and the kinds of emergency medical services and transportation their residents require. However, increasing numbers of municipalities are choosing private ambulance services because a private ambulance service such as MedStar offers some of the best pre-hospital medical care available anywhere. Here at MedStar, our emergency medical care providers take part in extensive continuing education and training programs to stay current with the most advanced medical research and studies available. Our goal as a private ambulance service is to anticipate the changes brought on by evolving medical technology and the demands placed upon it by an aging population. Being a private ambulance service enables us to focus all of our time and resources on patient care and ensuring the best possible experience for them while they are under our private ambulance service providers’ care. Unlike municipal services that have an operating budget that can vary based on the needs of other town or city services, a private ambulance service such as MedStar is able to focus fully on what matters most – the patient. Our investment in leading-edge technology systems, innovative business models, standardized business platforms and industry best practices has made MedStar as a private ambulance service the smart and logical choice for cities and towns throughout central Massachusetts. Our rigorous, high-performance service standards set a high bar for our dedicated emergency medical care providers, while at the same time solidifying the quality and value of our private ambulance service.